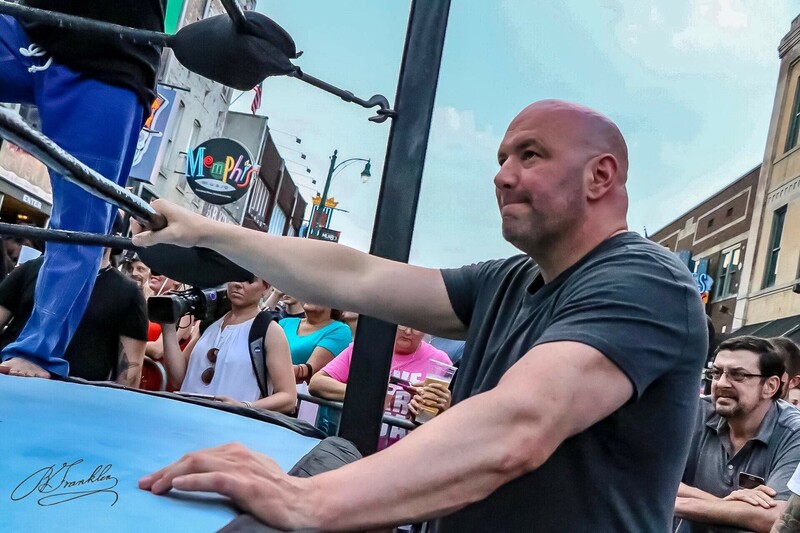 UFC president Dana White ringside on Beale Street. 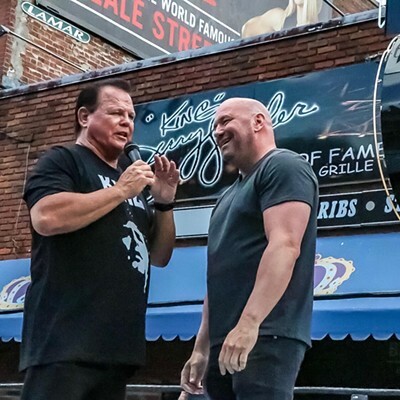 Last weekend in front of Jerry "The King" Lawler's Hall of Fame Bar & Grille on Beale Street, UFC president Dana White was involved in a professional wrestling match for the first time ever. 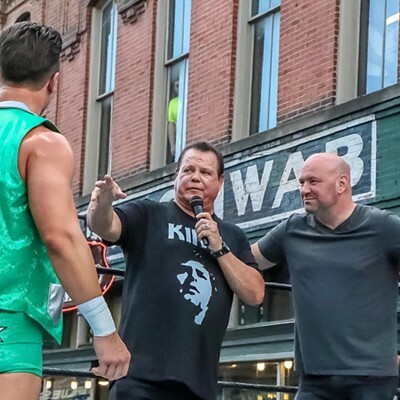 White’s debut in the squared circle was another historic wrestling moment in city know for its wrestling history. 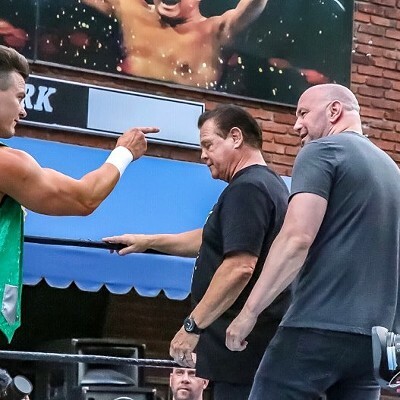 1) White was in the corner of Derrick King and Matt Serra in a tag match featuring one wrester and one MMA fighter on each team and one WWE Hall of Famer as a special enforcer outside the ring. 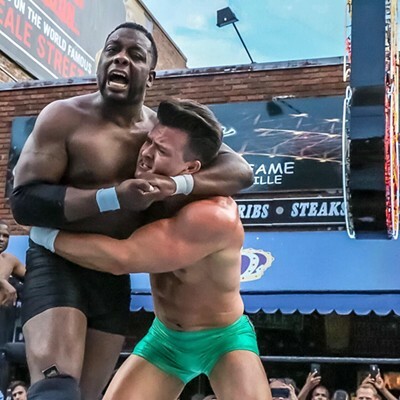 2) White entered the ring towards the end of the match and played an important role in the finish before getting attacked from behind by Maria Starr. 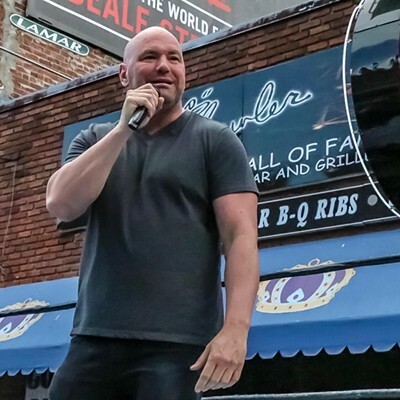 3) All of the action was filmed for the reality show Dana White: Lookin’ for a Fight. 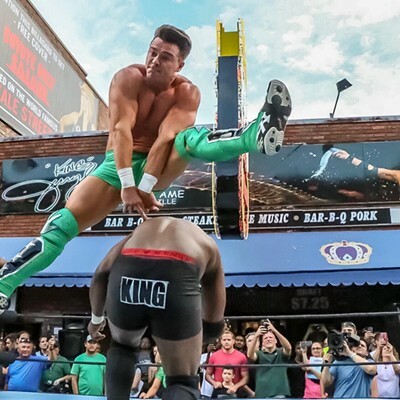 4) White picked Memphis over Mania. 5) Mr. Belding was there. 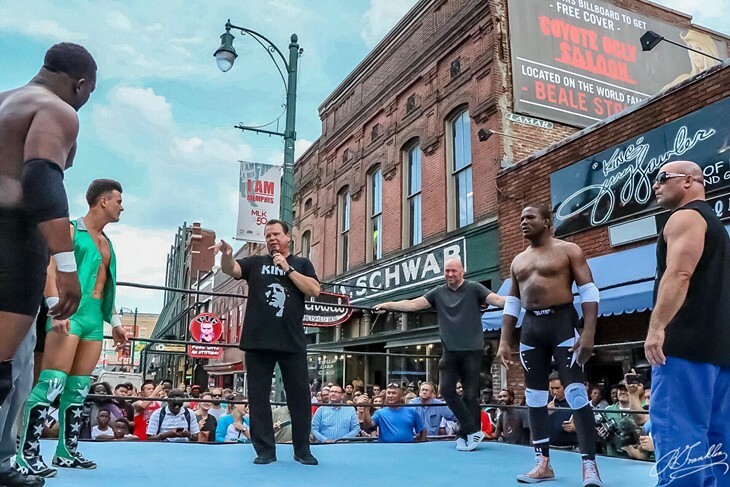 Listen to Kevin Cerrito talk about pro wrestling on the radio every Saturday from 11-noon CT on Sports 56/87.7 FM in Memphis. 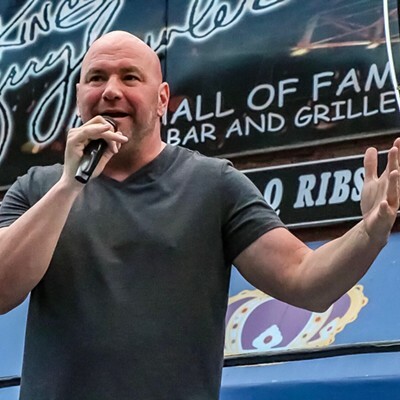 Subscribe to Cerrito Live on Apple Podcasts, Google Play, tunein, PlayerFM or Sticher. 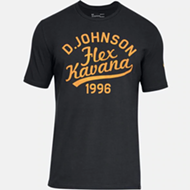 Find out about his upcoming wrestling trivia events at cerritotrivia.com. 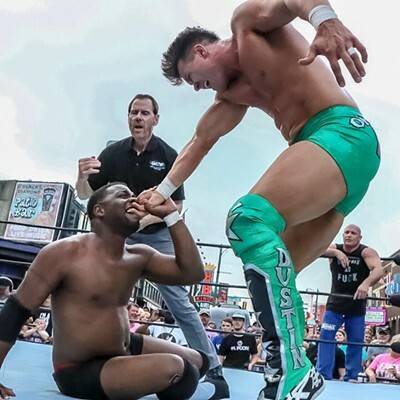 Follow him on Twitter @cerrito.